Today’s 50th Friday covers the year 1992. 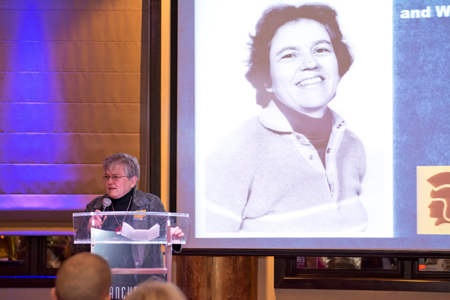 In March 1992, RVC professor of physical education Geraldine McDermott received the Janet Lynn Award for sports given by the Rockford YWCA at its 12th annual Leader Luncheon. McDermott started the women’s athletic program shortly after the school opened and built it through difficult beginnings. Because of her persistence, RVC has one of the longest running women’s athletic programs at the community college level in the state of Illinois. From 1966 until 1989, Gerry served as Women’s Athletic Director, served as volleyball and softball coach every year, and taught a full load of physical education and health courses. She produced three All-Americans and over 100 athletes who earned all-conference or all-region honors, and 35 of her players went on to play at four-year schools. When choosing her for the award, the YWCA also noted McDermott’s leadership and influence on a number of area teachers and coaches who played under her, including Belvidere’s Karen Franzen and Rita Stevens, and Hononegah’s Sherry Diamond. McDermott was elected to the RVC Athletics Hall of Fame as part of its inaugural class in 2013. “Gerry” McDermott at the RVC Athletics Hall of Fame induction ceremony. 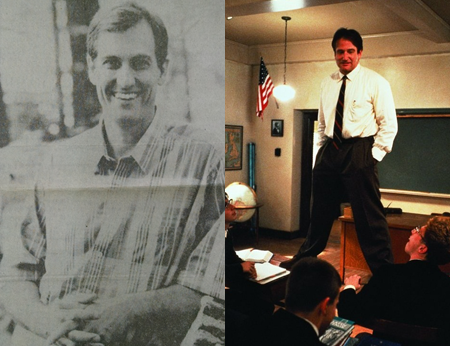 Samuel Pickering Jr. in 1992 (left); Robin Williams (right) as John Keating in 1989’s Dead Poets Society. 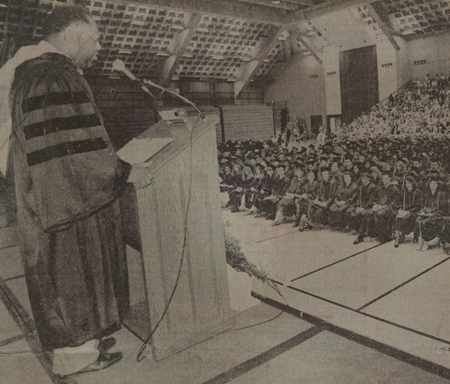 At the May 1992 commencement ceremony, Mayor Charles Box addressed the graduates. Elected in 1989, Box was the first African-American mayor elected in Rockford. He was elected to three terms as mayor before choosing not to run in 2001. Box is a Rockford native who graduated from Auburn High School in 1969. Mayor Charles Box addresses the 1992 RVC graduates. 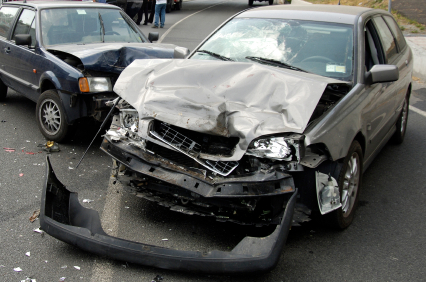 The Traffic Safety program at Rock Valley College was established in 1992. The program allowed eligible motorists the option of requesting court supervision when receiving a traffic ticket without a court appearance. Instead the motorist would have to take a one-time, four hour defensive driving class certified by the National Safety Council. In 1992, the program offered just one basic four hour class, but now offers four in person (two four hour and two eight hour) classes as well as online classes. Classes are offered in five different cities. Bruce Roberts, the current Traffic Safety Program Director, was one of the first people hired in 1992 as a part-time instructor for the program. 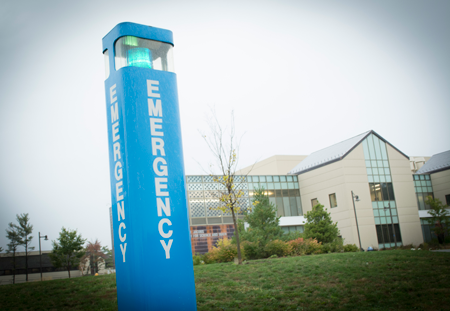 Since 1992, it is estimated that the RVC Traffic Safety program has taught nearly 10,000 classes with over 250,000 participants. The program has averaged over 12,000 participants each year over the last seven years. Beginning September 1, 1992, all colleges and universities were required to provide campus crime statistics to current students, employees, and applicants for employment in accordance with the Crime Awareness and Campus Security Act. The law was signed in 1990, but 1992 was the first year reporting for the previous year was required. The original law required reporting on nine specific crime statistics with a purpose of providing the frequency of those crimes, how to report crimes, and the policies concerning the institution’s response. Today, Rock Valley College’s Annual Security Report is published in compliance with the Jeanne Clery Disclosure of Campus Security Policy and Campus Crime Statistic Act (“Clery Act”) and the State of Illinois Campus Security Enhancement Act, and publishes a wealth of campus safety information and statistics. The annual report can be found on the college’s website.